- Vaticans Museums (VATICAN MUSEUMS). - Fill in the form specifying the museum, the date, and the number of tickets for each museum and category ticket you want to book. A copy of your booking request will be sent automatically to the provided email address. As soon as your tickets are booked and the payment is confirmed, the original voucher will be emailed to the email address you provided, so be sure to insert it correctly. The original voucher is the only recognized document accepted at the museum entrance. Reservations must be made with a minimum of 1 day notice. Reservations are limited to 20 people maximum. TuscanyAll is not responsible for eventual changes or cancellations to the programs offered. A service charge equal to € 4.00 is added to the price of each ticket purchased online at TuscanyAll. 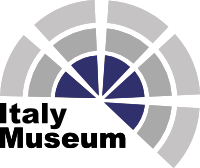 The prices published on-line already includes all fees except for eventual temporary exhibition fees; in case of temporary exhibitions, the museums apply a surcharge to the price of the tickets that will be added to the rates published online by TuscanyAll. There is a service charge for every further modification of your reservation. 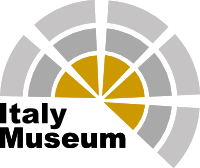 Service fees (€ 4.00) and reservation fees (from 0.50 to 2.50 Euro depending on the museum) are always due. Please note you'll be asked to show an identification document at the museum entrance, especially if you book reduced price tickets or free tickets. In case, at the museum entrance, you cannot provide proof of being eligible to benefit from discounted tickets, the cashier will change your tickets and your credit card will be billed for the difference in the next days, in the next days. If you do not want to send your booking request by e-mail, please print and send the form you find on the 3rd page by fax to Tuscanyall.com s.r.l. 0039/055/7193507 with your credit card details (number, expiration date, card owner's name or with a copy of a Bank transfer). Please note: the owner of the card must sign the form to authorize the charge. If the cancellation is made at least 4 days before the day of the tour, the cancellation penalty is equal to 30% of the gross total. For cancellations that are made from 3 days prior the day of the tour, the penalty charge will be equal to 100% of the gross total (the price paid is NON REFUNDABLE). - book tickets joining a coordinated group. - take part to a guided tour with a Professional Guide. Fill in the form specifying the museum, the date, and the number of tickets for each museum and category ticket you want to book. A copy of your Booking request will be sent automatically to the provided email address. As soon as your tickets are booked and the payment is confirmed, the original voucher will be emailed to the email address you provided, so be sure to insert it correctly. The original voucher is the only recognized document for the check-in with our assistant. TuscanyAll is not responsible for eventual changes or cancellations to the programs offered. A service charge equal to € 8.50 is added to the price of each ticket purchased online at TuscanyAll. There is a service charge for every further modification of your reservation. Please note each visitor will be asked to show an document at the museum entrance, especially if you book reduced price tickets or free tickets. If the cancellation is made at least 4 days before the day of the visit, the cancellation penalty is equal to 12.50 euro per ticket. If you do not want to send your booking request by email, please print and send the form by fax to Tuscanyall.com s.r.l. 0039/055/7193507 with your credit card details (number, expiration date, card owner's name ). Please note: the owner of the card must sign the form to authorize the charge.